5th Anniversary Dub Selecta…With tracks by… Dubmatix, Motakke, DoobieSounds, Steenkoud, 1st Monkey In Space, Les Desaxes, Ashley, Secret Archives of the Vatican, King Kietu, Celt Islam, Baby Arm Sound System, Friglob, The Natural Dub Cluster, Phoniandflore, Liquid Stranger, Mastermind XS, Delhi 2 Dublin, Volfoniq, Yabass, Dr. Remix, Earlyw~rm, DuBoLoGy, Guitoud, Shan-A-Shan, Corty, Du3Normal, Dubsalon, Wadadli, Lyoness meets Dubplay, Piper Street Sound. With tracks by… DoobieSounds, Jahvisst, Marpha and Tajiki, Rebel Zion, Lola Dutronic, Hjalmar, Celt Islam Sound System, Dawoud Kringle, Madalena Moog & Tafuri. Rebel Zion (Dub Mix), by Rebel Zion. Salt Lake City, Utah, USA. Al-Jihad (The Struggle), by Celt Islam Sound System (feat. Dawoud Kringle). Manchester, England. 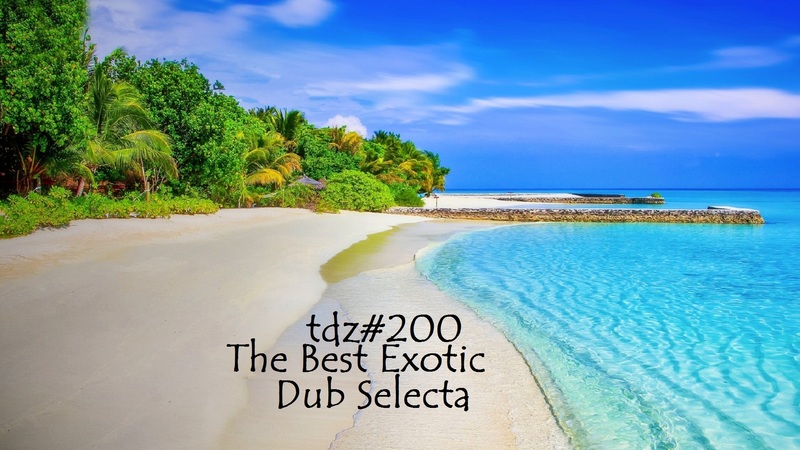 TDZ#59… Blame it on the dub….